China finally finished the installation of the world’s biggest telescope this week and will be using it to discover alien life. The Five Hundred Meter Aperture Spherical Telescope (or FAST) is almost as big as the size of 30 soccer fields. It was built in five years and at a budget of $180 million. Nearly twice as big as the second-biggest telescope—the 300-meter-wide Arecibo Observatory in Puerto Rico, FAST is almost too big to be true. If the telescope’s dish was filled with wine, there would be enough to give five bottles of the stuff to each of the Earth’s 7 billion inhabitants, says one of the scientists who built FAST. Now that it is finally ready for use, it will be searching for extraterrestrial life and exotica of the Universe such as pulsars, quasars, and gravitational waves. “FAST’s potential to discover an alien civilization will be 5 to 10 times that of current equipment, as it can see farther and darker planets,” said Peng Bo, director of the NAO Radio Astronomy Technology Laboratory. 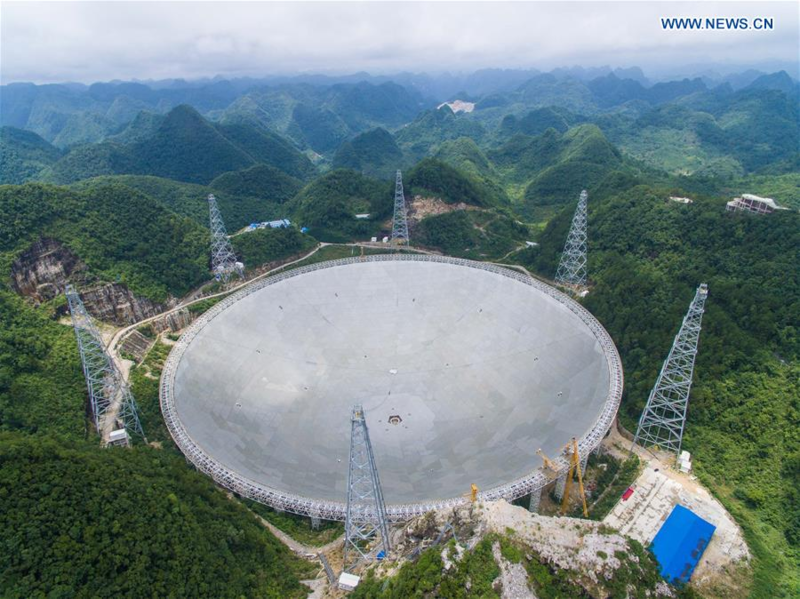 The radio telescope is an absolute marvel of a structure and is built by the National Astronomical Observation of the Chinese Academy of Sciences. Its sheer size has also ended up causing some big problems and over 9,000 residents living within a 5-kilometer distance of FAST had to be relocated during the telescope’s construction. They did, however, receive 12,000 yuan ($1,800) in compensation from the Chinese government. “The project has the potential to search for more strange objects to better understand the origin of the universe and boost the global hunt for extraterrestrial life,” said Zheng Xiaonian, deputy head of the organization that built it. The telescope is also capable of making observations in other cities such as Beijing, even though it is more than 2,000 kilometers from the telescope site. The post This is the world’s biggest telescope and China is using it to find aliens appeared first on TechJuice.